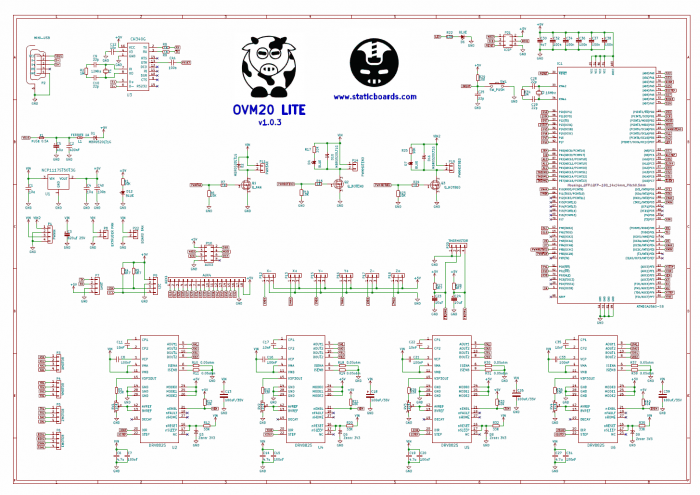 OVM20 Lite 100% Compatible with RAMPS 1.4 / Marlin Assembled and tested in Spain. Ideal upgrade for your printer. We are on Holidays from the next Monday 24th December, to Monday 7th January. Happy new Year. 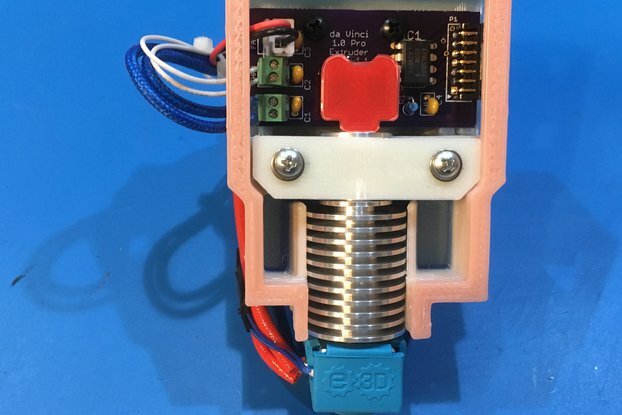 This board is ideal if you are mounting a 3D printer and you do not want to complicate your life. 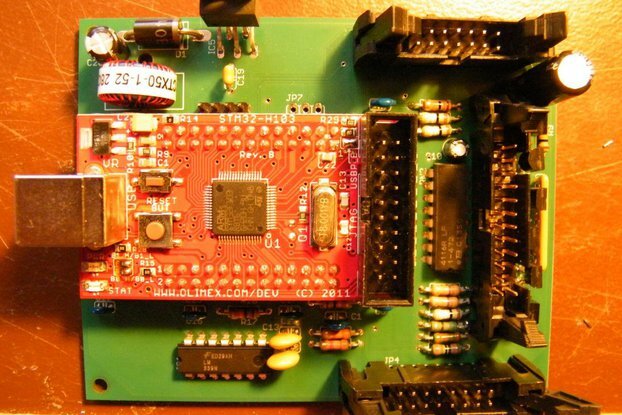 It is the natural evolution of the Arduino Mega + RAMPS 1.4 SB. A solution with all the integrated components. 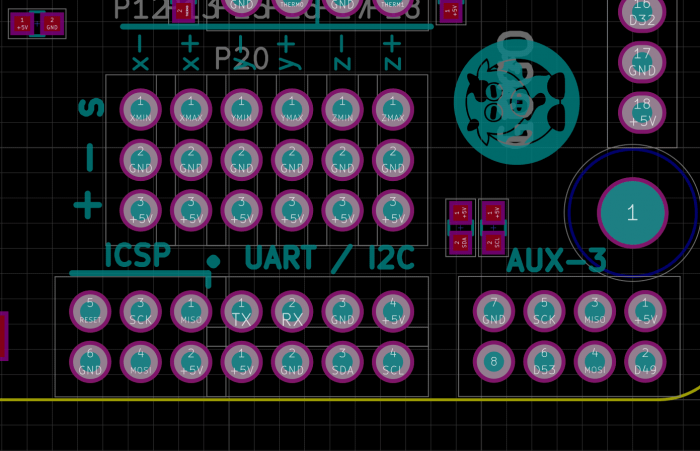 With this plate you’ll save having to buy the Arduino Mega 2560, plus 1.4 RAMPS, and having to connect a pair of drivers for step by step motors. 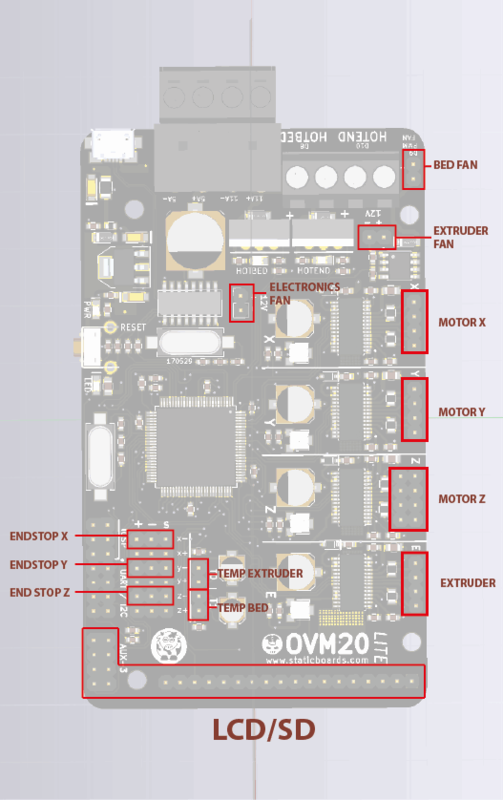 With OVM20 you have everything in one board. Download the Marlin, and select the plate. It’s the setup that comes by default. With this you can configure the Marlin as if it was a RAMPS 1.4 with an extruder, a layer fan, and a warm bed. Staticboards philosophy is to select the quality components. That’s why both the power connectors and the transistors are branded. Selected to withstand hours of continuous printing, without having to worry that the connectors melt, burn, and have an accident. This product will solve many problems if you are thinking of setting up a printer from scratch. Or in case in which your old electronics have been burned, and you’re looking for a definitive solution. Why is it called OVM20? The reason I put in the 20 comes from long time ago, I designed a similar plate, which has served as inspiration for this version. Does it include heatsinks for the drivers? How many micro steps do the drivers have? To simplify the design, the drivers are configured for 32 micro stepping. I have a new version of Marlin. Will I work with the OVM2o? Can I connect an additional fan? 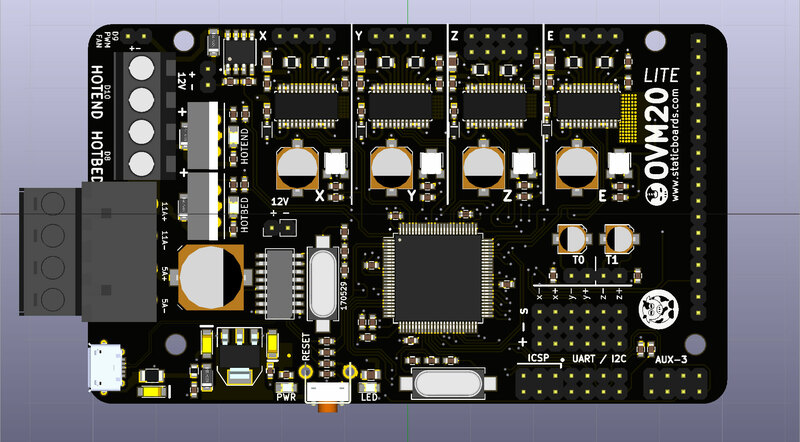 The board has two 12V outputs for additional fans (or whatever you need). 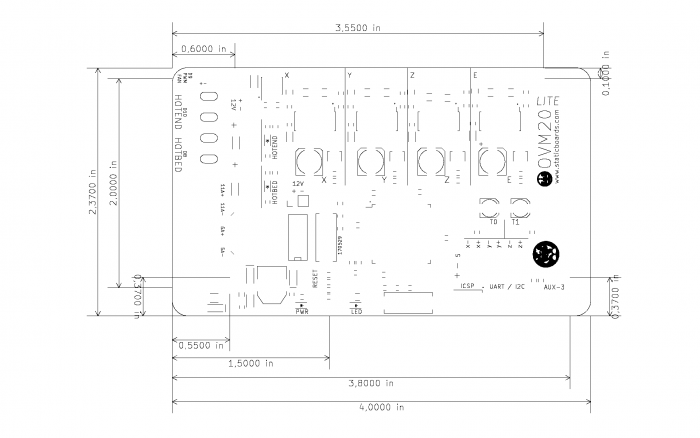 The popular RepRap Discount LCDs work perfectly with the OVM20. And there are two versions of this LCD. The text mode LCD is smaller and cheaper. Easy to use and to setup on Marlin. The full graphics is bigger, has more beautiful icons and it is slightly more difficult to install (nothing special, you have to include one lib on the arduino ide). But it has the problem that it will eat more CPU. With a Delta printer, this can be a real issue. In most cases, any of them are okey, so, it depends of your personal taste. You can buy them on amazon at a decent price. What are auxiliary pins for? There is a 6-pin block that is used to program the atmega2560 the first time. It is what is called ICSP, and if you are a hacker, you can use it for many things. The other block has UART communication, which you can use to connect in remote (I do not know if it would work with a Bluetooth, you have to try it). You also have an I2C output to connect a device such as colored LEDs. Can I use the OVM20 to mount a CNC? If possible. Marlin understands GCODE commands, and you can use the board to move engines and light a drill. Can I use the OVM20 with 24V? 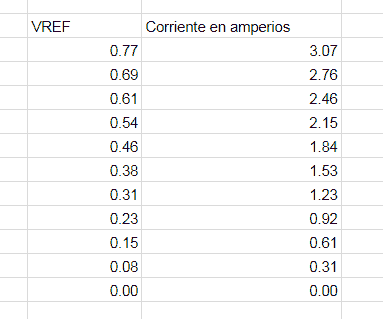 What are the values to calibrate the drivers? To calibrate the drivers, there is no exact value. It depends on many factors. If the printer is a Prusa, if you use bearings well lubricated, the weight of the extruder, and the speed of printing, etc. The values of the OVM20 Lite are set so that the reference voltage of the potentiometer goes from 0 to 0.76V. The formula is current = 4 * Reference voltage. So if you put the potentiometer in half, the formula would be 0.76 / 2 * 4 = 1.52A, which is a normal value for a driver. I leave here a table that can serve as reference (if for example, you set up many OVM20 lite at once). If the engine gets very hot, turn the power off by turning the potentiometer. And if you lose footsteps, then get on a little bit more. Simple. The more you lower it, the better. The more you raise it, the more the driver will warm up. And you do not want a hot driver. Driver life will be shorter, and you will have to change boards (or motors) sooner. Check to see if you can better lubricate the bearings, or if you can lower the weight of the machine so that the motors do not have to push so much. For international orders, as we have to go to the central post office, we usually send items only two times per week, so, your order can take some days to be shipped. 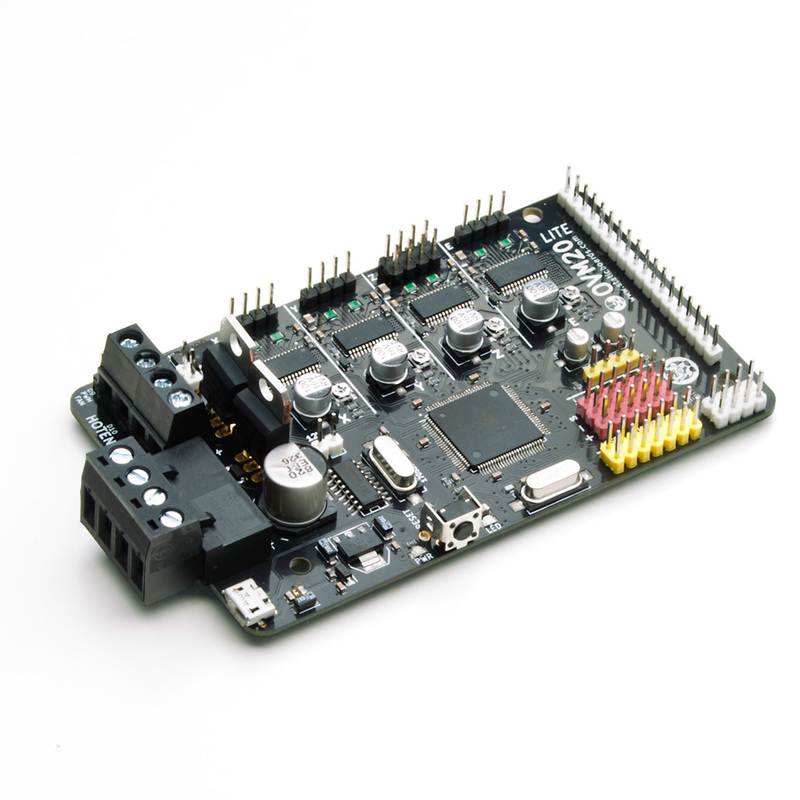 Discovered the board, hoped it would be a single board, affordable alternative 3dp controller. 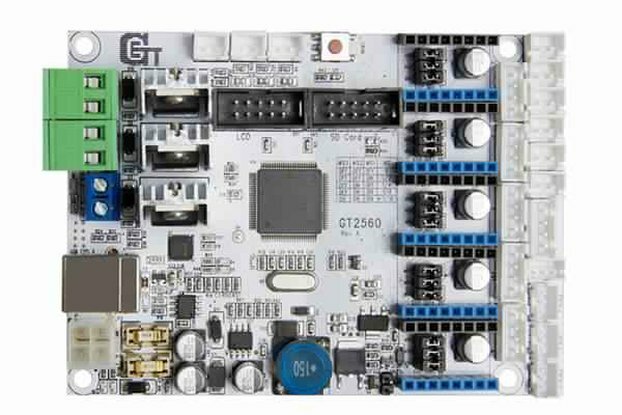 It has two main issues; requires chinese driver for cheap serial to usb convertor on the board, wich is a problem for some 64bit Win OSses. And it takes only 12V input, plaguing the board with unessessary high amperage. Maker was véry fast to answer on a bulk order request, but plain ignored our proposal for a (bulk)redesign. Manners, you got them or you dont. Thank you very much for your review! We are working on new models for the future, and we will take into consideration all the request that we are receiving. I use this board for my custom 3d-printer. i particularly like that the stepper drivers are already on-board. It is very easy to setup. 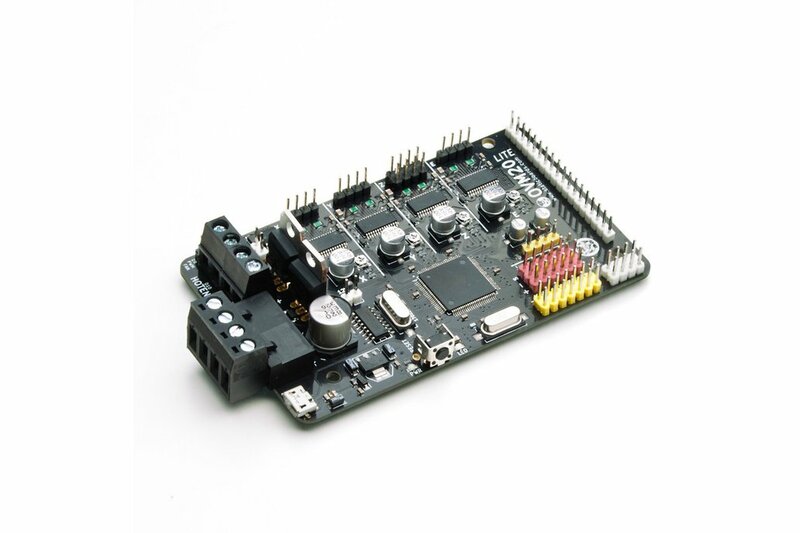 Due to its RAMPS compatibility it is supported by more than one firmware without tinkering. 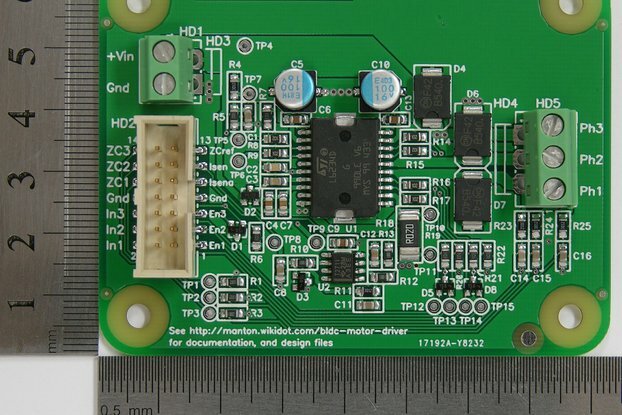 The boards and components where high quality just as claimed. Downside maybe is you can not use 24V for the steppers. But you can use a separate power supply for the heated bed.